What information is your school collecting on your children? This article is as relevant today as it was in 2014 when it was written. Each child’s responses are collected in a “data dashboard” and measured to see whether the child demonstrates change in regard to attitudes, feelings and behaviors. The results are entered into a national SEL data bank, often to 3rd party vendors. Watch our SEL Webinar to learn more about this program infiltrating most of our schools. Find additional information under Social and Emotional Learning. It’s Time to OPT OUT of the Minnesota Student Survey! A HealthPartner’s policy is being implemented that requires clinicians to administer a pre-teen/teen invasive health questionnaire answered only by the adolescent. The parent is then asked to leave the child alone with the clinician so the clinician can engage the child “one-on-one” about the answers and personal concerns. Plus with whom is this data being shared? State law allows the Minnesota Department of Health to require providers and health plans to “provide patient health records and claim files” M.S. 62J.321 Data Collection & Processing Procedures. Please read the following for details so you can protect your child! • Is Your Child Unsafe at the Doctor’s Office? Beware of doctors that won’t let you as a parent accompany your child to the clinical area. The HIPPA Privacy Act is supposed to protect us from tyranny or any unethical deeds done by doctors and any other outside parties. It is absurd to think that a child’s privacy is being violated by having their own parent with them. With the ever-expanding use of Comprehensive Sexuality Health Education in the schools, it is important for parents to know what the Minnesota state law explicitly states. The parent of a child is primarily responsible for assuring that the child acquires knowledge and skills that are essential for effective citizenship. Each school district shall have a procedure for a parent, guardian, or an adult student, 18 years of age or older, to review the content of the instructional materials to be provided to a minor child or to an adult student and, if the parent, guardian, or adult student objects to the content, to make reasonable arrangements with school personnel for alternative instruction. Alternative instruction may be provided by the parent, guardian, or adult student if the alternative instruction, if any, offered by the school board does not meet the concerns of the parent, guardian, or adult student. The school board is not required to pay for the costs of alternative instruction provided by a parent, guardian, or adult student. School personnel may not impose an academic or other penalty upon a student merely for arranging alternative instruction under this section. School personnel may evaluate and assess the quality of the student’s work. The parental non-consent form prepared by The Liberty Council law firm, Lynchburg, VA, may be used by Minnesota parents in their local schools concerning curriculum that they object to. The purpose of this form is to put the school on notice regarding what is/is not acceptable for your child and that you must be provided preemptive notice. The introductory letter explains how to use this form and recommends that you fill one out for each of your children. Liberty Council states that they are prepared to assist and provide guidance in this area. Issues and potential bills are happening so fast that is difficult to keep up! Because the legislature changed the rules so that potential bills are being sent from committee to committee, it makes it even harder for the average citizen to track where the bills are and what is happening. This is where CPL can help you! You can receive up to the minute news through our CPL email updates. Just sign up using the online form below the Donate Now button. We are doing our best to keep you informed so that you can submit public comment, contact your legislators and even attend a committee meeting. Below is background information on a few of the bills CPL is tracking. If you have any concerns or additional information that would help us to keep you informed, please let us know by using our CPL Online Form. Thank you! Together we can make a difference! Upon recommendation of the Federal Commission studying school safety, acting U.S. Attorney General Whitaker rescinded the Obama-era “Racial Equity in School Discipline” directive that disregarded federal law and subjected public school students to two-tiered discipline based on race. However, the Dayton administration anticipated this sea change and initiated its own racial equity directive. In October of 2017, the MN Department of Human Rights (MDHR) sent a letter to 43 school districts informing them that they have a “racial discipline disparity” in violation of the MN Human Rights Act. Unless they entered into a “settlement agreement” with the state, they would file charges and investigate them for civil rights violations. Overview: Minnesota is full steam ahead implementing the racial quotas in school discipline in schools throughout the state. Read Minnesota Goes Full Radical on Race Based School Discipline and Take Action. The gender ideology is now creeping into our schools indoctrinating our children even at the elementary level. What is the pronoun mandate? Are our children safe when male students can use female restrooms and locker rooms because the male student decides he now identifies as a female despite his male biological body? Be aware of what is occurring in your schools and communities that embrace this dangerous new trend. Despite strong opposition, the Toolkit to Ensure Safe and Supportive Schools for Transgender and Gender Nonconforming Students was passed in MN by an unelected, governor appointed Minnesota Department of Education committee. It’s not just about bathrooms and locker rooms. It’s about indoctrination into a dangerous gender ideology. The pronoun mandate is the most dangerous part of the Toolkit. Use this extensive resource to educate yourself on the issues. Radical gender activist groups such as the National Center for Lesbian Rights, Gender Spectrum, and the LGBT & HIV Project have published this guidebook, Schools in Transition (PDF), for schools across the country to use in setting school policies that endorse and promote transgender ideology. The MN Department of Education (MDE) recommends this guidebook as a credible resource. The Anoka Hennepin School Board meeting March 23, 3017 was packed and the testimony was strong in support of privacy rights of students. These testimonials from CPL and the community may be of help as you battle this issue in your schools and districts. President Trump withdrew the Obama administration’s threat to withhold federal funding if schools don’t comply with gender inclusive policies, however; the MN governor and the Department of Education are exerting pressure on districts to adopt the now-rescinded policy. Will the new MN governor follow suit? Learn how the federal directive on transgenders in school bathrooms does not carry the force of law, and what you can do. 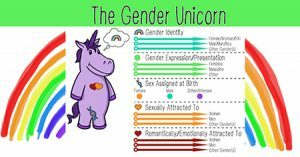 The MN Department of Education is falsely teaching that gender fluid Ideology must be taught in K-12 classrooms. Alliance Defending Freedom refutes the U.S. Departments of Education and Justice issued “Dear Colleague” Letter claiming that Title IX requires every school district to treat students consistent with their gender identity. Preferred gender pronoun and they keep growing! Letter to Nova Classical Academy, St. Paul, MN that is applicable to every school in the nation. This ideology is taught to your grade school children through “cute” pictures! First there was Gender Gumby Lesson Exercise for Gumby (PDF). 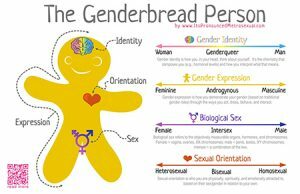 Then it was the Gingerbread “person”, next it was the Rainbow Unicorn and now, for those older kids and teens, the Gender Tree. Teachers are being trained to reconstruct sexuality and harm children by confusing them about the biology of boys and girls. Please be aware and check out your Opt Out options. A bullying prevention program for elementary children that is designed by Welcoming Schools to force approval of homosexual behavior and reject parental authority. Main themes of the program are: name-calling and bullying, gender stereotyping, and family diversity. Under the banner of diversity and multiculturalism, SEED has been training teachers across this nation since 1987. Today we are witnessing an increase in extreme anger, hatred, and violence on our college campuses. Many college students, administration, and faculty are promoting and defending the suppression of free speech and freedom of conscience. This didn’t begin on our college campuses; the seeds for anti-American, pro-sexual diversity indoctrination began many years ago with the SEED diversity training for teachers in the K-12 educational system all across the country. This report highlights one teacher’s experience with SEED in the largest school district in Minnesota—Anoka-Hennepin District 11. We are witnessing the “SEEDS” of this training today in our schools. Social Emotional Learning sounds non-threatening but what is it and how is it implemented in our schools? Teachers are trained in “mapping cultural values” which means identifying a student’s “personal cultural values and preferences”. This information is collected in a “data dashboard” and measured to see whether an individual demonstrates change in regard to attitudes, feelings and behaviors. The results are entered into a national SEL data bank. It is an invasion of privacy at the highest level. A Child Protection League webinar that explains what SEL is and how it is affecting our children in our schools. Our experts, Stella Morabito and Dr. Karen R. Effrem, unmask the agenda behind ‘safe schools’ and Social Emotional Learning (SEL) in these video presentations with accompanying PowerPoint slides. Strategies to push implementation of SEL, a globalist agenda by the World Economic Forum. Substituting parental guidance to dislodge teens from family and shift values. If you live in an ESSA state, your child’s mental health will be assessed by a non-medical professional in a non-medical context. 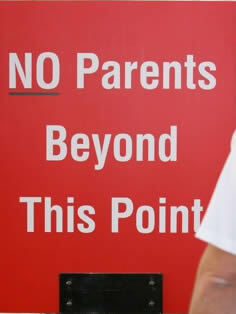 Parents are not asked permission and the paperwork can be shared with anyone. Read the whole article and be armed! 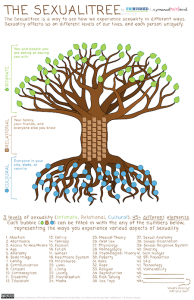 SEL is the most recent educational strategy for transforming attitudes, values and belief of children. It has little to do with academics. SEL has even infiltrated youth development programs such as 4-H. SEL sounds inviting and educational but ask yourself what and whose values are the children learning? Listen to the “politically correct” words used in children’s vocabulary — “safe spaces, cultural responsiveness, Indigenous Circles, work father…” Notice also that data is gathered using incentives, such as candy, Instagram, etc., which in turn is used to produce “best practices” research.